The Mens Tasman Jacket is brilliant jacket for high-octane cycling trips in cool, windy conditions. The jacket has a hybrid design that combines an elasticated back and sleeves with a windproof, insulated front. 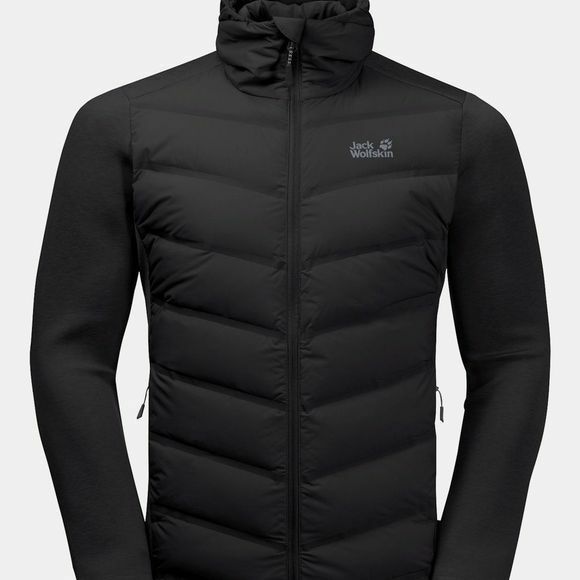 The entire front of the jacket is reinforced with windproof Stormlock fabric to shield you from the headwind and has a down fill for extra warmth. The sleeves and back of the Mens Tasman Jacket consist of a soft and very stretchy fabric that allows the skin to breathe and dries fast, so you won't feel cold after you've worked up a sweat. And if the wind is really whistling round your ears, just pull up the hood and keep on pedalling!